If you haven’t yet done it, go and have a look at the Teensy micro controller from PJRC. Its powerful, small, has lots of libraries available and, one very large bonus, a very friendly developer and user community forum. You will usually find someone who can point you in the right direction or perhaps even provide an answer to something that has been holding your dev back. 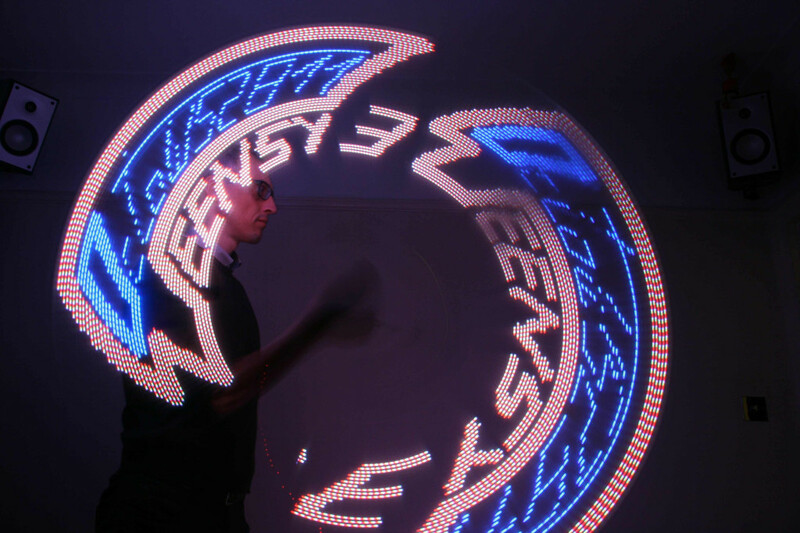 Using the Teensy with led strips for pixel poi – NOTE that the ws2811 led strips used above are really slow and not good for fast spins!